Getting tired of giving these weather reports that aren’t so good. Maybe, we’re going to have some nicer weather this week, according to the weathermen. That sure would be nice. We did have frost quite a bit early in the morning, but warmed up nicely during the day. The wind could stop blowing as far as I’m concerned. Folks are getting antsy to get out and dig in the dirt and get their gardens and flower beds ready. Last I heard no rain during the week. Don’t forget the Red Cross blood drive on May 2nd, 9 a.m. – 2 p.m. at Darway. Contact Jamie Killian at 570-924-0199. Our little town of Lopez has a big project going on. The bridge by the Post Office is being replaced, so lots of noise and activity getting this done. Never have seen a kestrel here, but we had one last week. Sat on the top of our pole for quite some time, just looking and preening. Nice looking bird. Finally flew off and haven’t seen it since. We also have a phoebe nesting again this year. There will be a park clean-up on Saturday, May 12th, at 11 a.m. Anyone who wishes to help, please come to the Pavilion on that day. The more help, the sooner it will be done. It’s early, but you can mark your calendar now. There will be the Civic Association annual flea market, at the Pavilion, on Saturday, June 16th, from 9 a.m. to 3 p.m. There will be a $5.00 set up fee. Something to think about and see what you might want to get rid of at that time. Any questions, call me at the number below. Birthday wishes to Mickey Mowery, 26th; David Spinosa, 28th; and Ken Kline and Abby Matychak, 30th. Have a nice day. If you of a birthday I should include in my news, please let me know; I’ll add it to my list. Now with the nice weather coming, I hope, keep an eye on the Sully for things going on around the County that you might be interested in. Guess that’s the news for this time. Enjoy your week, “should” be quite nice, so get out and about. Have news, call me at 570-928-9238; mail me; see me; or e-mail me at news@lopezpa.com. I’ll get it in for you and I’ll be here next time. Thanks for reading. 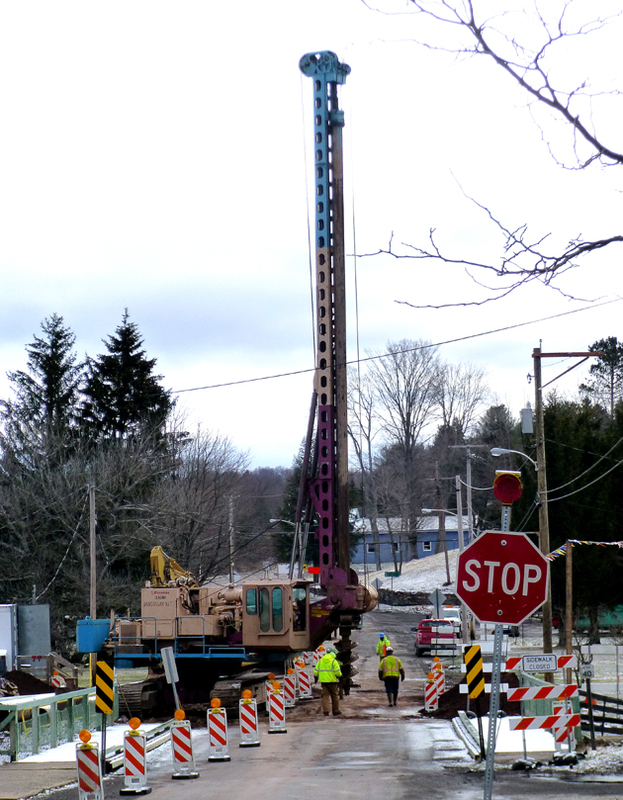 Work has started on the new bridge on Main Street here in Lopez. They will be replacing one half at a time so traffic can continue.